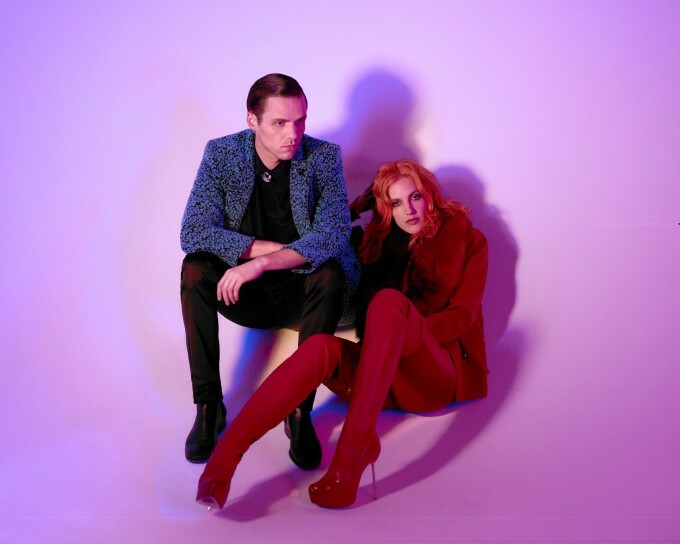 Looks like US duo MS MR have decided to give ‘Wrong Victory’, from their latest album ‘How Does It Feel’, a little bit of its own time in the sunshine, dropping a music video for it late yesterday (Australian time). And the timing couldn’t be more perfect, given they’ll be on Australian soil later this month for their appearances at the Groovin The Moo Festivals across the country, along with headline shows in Sydney, Melbourne, Brisbane and Perth. But back to the video, which features two figures, clad in tufts of multi-coloured hair, sitting upon a Lazy Susan (who was Susan, by the way? And what, specifically, made her lazy? ), slowly but surely shedding their furry suits to reveal glittery face coverings. They too are peeled away to reveal more and more layers until we see who’s been hiding underneath their disguises for too long.